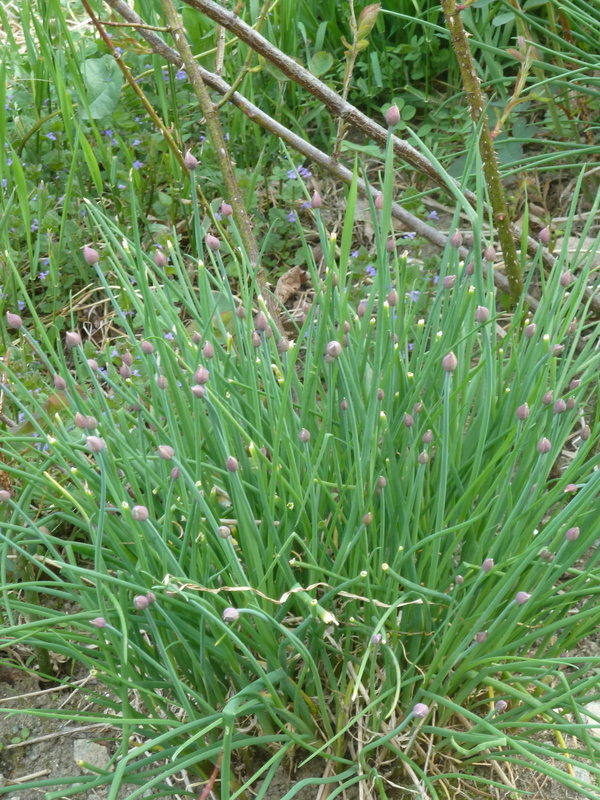 I have lots of chives on my property, put there by the previous owner. Strangely, he planted them beneath two spruce trees. I guess he didn’t consider the fact that the trees would grow and spread their shade. But they did, so I transplanted the chives to various sunny spots around the garden. I put some by the rose bushes because I had heard they repel aphids. I’ve never seen aphids in these roses, so I guess it works. I like eating fresh, chopped chives in a green salad. They also make a tasty addition to scrambled eggs. Cook the pasta according to the package directions. While it is cooking, sauté the garlic in a small amount of olive oil in a large frying pan. When it starts to brown, add the chives, mushrooms, and thyme. Cook until the mushrooms are tender, about five minutes. Add the spinach, still damp from the rinse water, and cook until wilted, 3-5 minutes. Serve over the pasta. Sprinkle grated cheese on top. 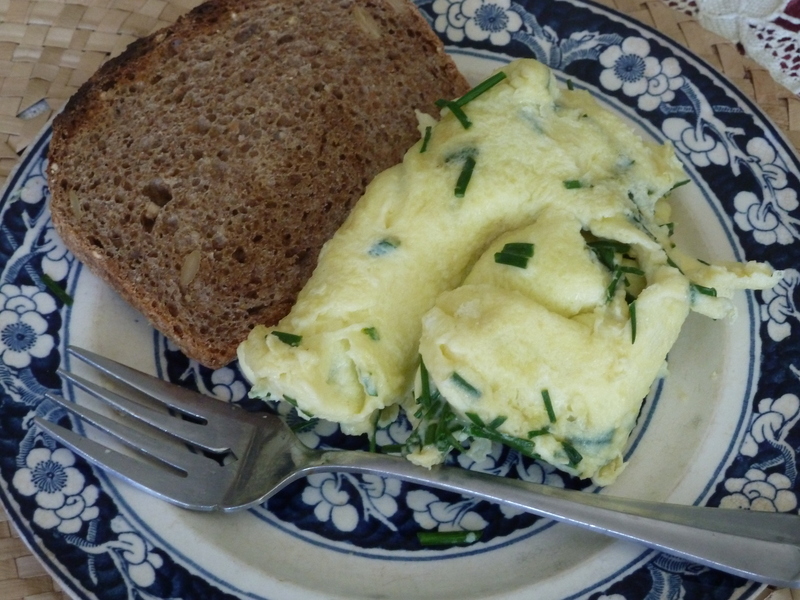 This entry was posted in food from the garden and tagged chives, recipes, spinach. Bookmark the permalink.